The good old pipeline review. There is probably no discipline embedded in sales management that has a greater intent, and yet so often not only fails to deliver, but actually extracts value from the process. A good pipeline review process ensures alignment, accelerates the sales cycle and is core to the development of successful salespeople. A bad review process demotivates, creates a false sense of the future and actually makes success more difficult than not having a process at all. Companies who do one of the following three things have substantially greater revenue growth than companies who don’t. Companies that have a clearly defined sales process with defined sales stages had 18% greater revenue growth than those that don’t. Companies that spend at least three hours per month talking with each sales rep about their pipeline had 11% greater growth. Companies that train their sales managers on pipeline management had 9% greater growth. Over the last 20+ years, I’ve conducted countless pipeline reviews, for both my salespeople and for client’s sales teams; as well as observed countless sales managers/executives conduct pipeline reviews. 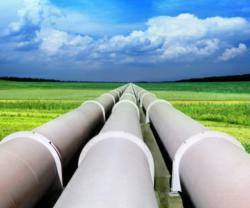 From that experience, I’ve developed five tips for conducting effective pipeline reviews. The underlying purpose of a review is to get a snapshot of the entire pipeline, ensure there is alignment and that actions are planned and followed up on. Break the review into three segments – early, mid and late stage – and review opportunities along those lines. Set time limits for both reps and the time allowed for each stage. Your goal should be to highlight any issues that require a deeper dive, and discuss those issues separately. Which brings us to the second step. There is nothing more painful than when the sales manager or rep spends 20 minutes talking about one opportunity. A good pipeline review maintains a fast, active pace. You’re checking-in, assessing progress and moving forward. Anything that requires more should get its own meeting, with only the necessary players present. This is the opportunity to coach and move things forward. It’s not the time to tell a rep that they screwed up, or even to reprimand them for a lack of action. An effective review process is positive and keeps the ball moving. If a rep isn’t cutting it, address it outside of the review. Laundry lists don’t work. A review is not a brainstorming session. If a deal is stuck and you want to get creative about it, set some time aside (outside of the review) and brainstorm. When discussing actions, focus on fewer, higher value actions. Less is definitely more when it comes to an effective review. Don’t talk in generalities. The goal is to advance the sale, not just continue the process. Make sure you leave with clear actions that will be done in advance of the next review. And at the next review, make sure you discuss those actions. This approach creates a promises made…promises kept culture within the sales organization and ensure more purposeful and effective efforts.